At Landmine Design, we serve those living within a dangerous environment. The MineField Village is scarred, marked with the horrors of the past impressing fear and danger upon the hearts of many today. This week we’re coming alongside our parent non-profit, LightBridge International, and claiming something different. What if, rather than falling subject to the way in which things have always been, we armed individuals to be dangerous to the cycle of poverty? What if we armed individuals with goodness to replace the markings of evil? What if we replaced starvation, homelessness, and vulnerability with that of safety, education, and dignity? This week, we’re taking a stand. 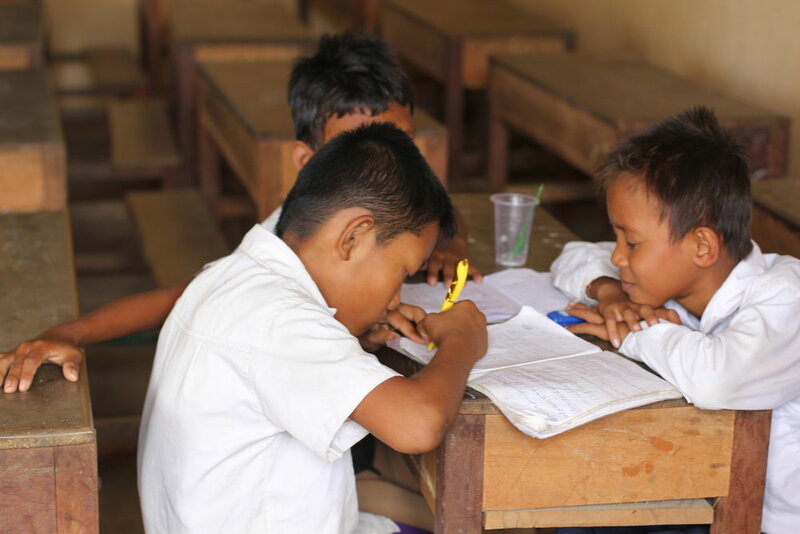 We believe deeply in the power of education, and we're setting out to raise funds in order to continue the education of the children in the The MineField Village by building 4th and 5th grade. This week we’re setting out to make sisters, mothers, daughters, and community members armed for good, and dangerous to the cycle of poverty because we believe anything less is just not good enough. Children deserve an education, mothers deserve an opportunity to provide and to equip. We hope you’ll follow along and join us in this fight. We believe that together, we can endanger the cycle of poverty present within The MineField Village today, and for generations to come. We’re seeking to lead with education, and we believe in the powerful story that may unfold as we do so.